With an easy E Signature Loan 5000nocreditsignatureloans.com helps members handle life’s expenses, even as needs change. Casa Solution has helped hundreds of new arrivals as well as Panamanians successfully purchase their dream properties in Panama. With a commitment to service and integrity, the English and Spanish speaking staff stand ready to provide you with the perfect Panama properties that match your particular needs. The Casa Solution real estate Boquete team has built a well-known reputation for a friendly, no pressure consultative sales approach. The result has been highly satisfied clients. You will find everyone on the staff working hard to ensure you feel comfortable with the process, have all your questions answered honestly and making sure you find your ideal home or property in Panama. Please take a look at the over 50 glowing reviews of Casa Solution on this website under the "For Buyers" tab above. Casa Solution is committed to your total satisfaction, outstanding service and to helping bring joy and ease to your life in this incredible place. Please call or email today. We look forward to answering your questions about buying property in Panama and being of service. Panama, Boquete and the Chiriqui Province have received international prominence as retirement, tourism and investment destinations. Millions of visitors arrive in Panama each year to enjoy Panama's beaches, forests, resorts, business opportunities and the energy of a country experiencing a booming economy. Panama offers so much - incentives and discounts for people choosing to retire overseas, intense natural beauty, warm, welcoming people and Panama mountain homes in cool weather climates just a short drive away from gorgeous, relaxing Panama beach properties. The country's stability, position as a financial powerhouse, geographical location between North and South America, business friendly policies and impressive infrastructure coupled with the Panama Canal makes it the logical center for business activities. 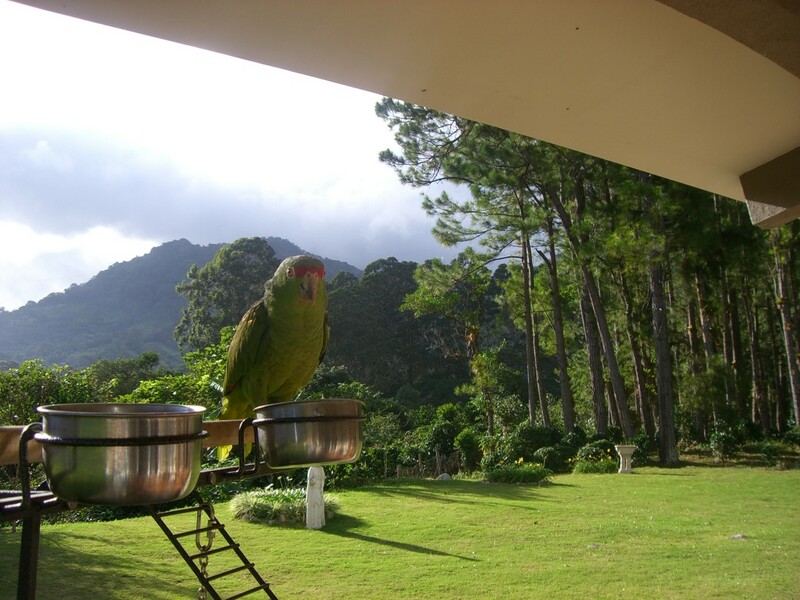 Nestled in a cool and verdant valley, Boquete in Chiriqui is a deeply beautiful mountain community blessed with year-round spring-like weather, incredible views around every corner and warm people with a rich culture. 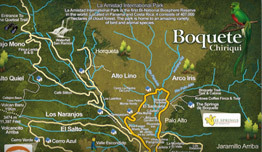 Boquete boasts a growing number of amenities including excellent restaurants, spas, hotels, shops, supermarkets, gyms and endless opportunities to experience the natural wonder of the region. A new four lane road leading right to Boquete - The main road that links Boquete to David (Panama's third largest city) has just been transformed from two simple lanes to a four lane highway under a $117.6 million contract. This has just made the area far more accessible to tourists and new residents. Airport expansion - The new massive terminal is already in use. The new facility is much larger and better facilitates the arrival of larger planes with more passengers. This would allow the eventual arrival of direct flights from the U.S. or other countries to David. 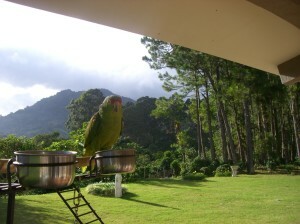 Thousands of new arrivals - Boquete has a thriving expatriate retiree and lifestyle community. Well over three thousand people from the United States, Europe, Canada and other regions have chosen Boquete as their new home for a wonderful and exciting new lifestyle. So Many Things to Do - As a result there are a wide range of social activities including a weekly Tuesday market, English language social groups, and many of the newcomers integrate through Boquete's extensive charitable network. Since so many people are new to the area, making new friends in Boquete is pretty easy. It's a very social environment whether you live in or outside of Boquete's fine gated residential communities. After being identified by highly respected organizations as one of the best places to retire to in the world, AARP (top 4 retirement destinations) Fortune magazine (top 6 destinations) and being featured in publications such as the LA Times & New York Times, the Boquete area and Chiriqui Province are enjoying rapidly increasing world-wide acclaim as many new retirees arrive each day. We appreciate that quality of life is easier to find when your investments in land or home increase in value. Whether it is an investment in a new home, a property to hold or another Boquete real estate investment, Casa Solution is constantly seeking to bring you great returns on your investment in Panama. Due to rapidly increasing demand for the unique Panama and Boquete-area lifestyle and climate, the sudden high visibility of Panama in the world market, the upcoming surge of over 100 million baby boomer retirements, the increased difficulty of maintaining a high-quality life-style in the U.S. on even a significant budget, the increasing recognition of Panama's political and economic stability, the use of the dollar as currency, and so much more, we believe Panama's brightest days are just beginning. Those who purchase the right homes in the best locations, will not only enjoy a wonderful lifestyle, but we believe can also expect excellent appreciation on their home or property investment. We stand ready to assist you in learning more about the region and in helping to identify the perfect property for you.